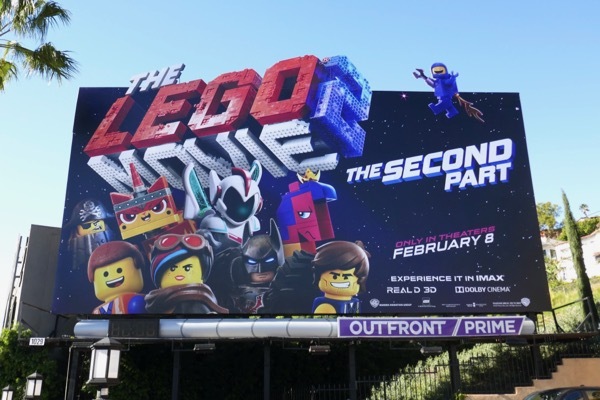 If you thought everything was awesome about 2014's The Lego Movie, then odds are you'll love the movie sequel and its equally 'Catchy Song'. 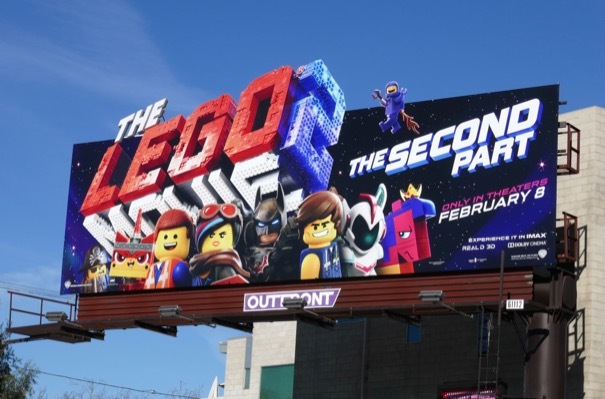 The Lego Movie 2: The Second Part is a new intergalactic adventure with Chris Pratt once again providing the voice of everyday construction worker 'Emmett Brickowski' and Elizabeth Banks voicing 'Lucy/Wyldstyle', plus a whole host of other vocal talents from Tiffany Haddish to Will Arnett, Alison Brie, Nick Offerman, Charlie Day and more besides. 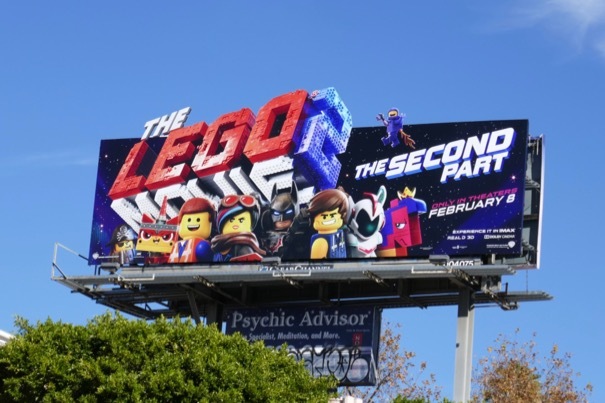 These fun jam-packed billboards were photographed along the Sunset Strip, Highland Avenue and Pico Boulevard from January 2 to January 19, 2019. 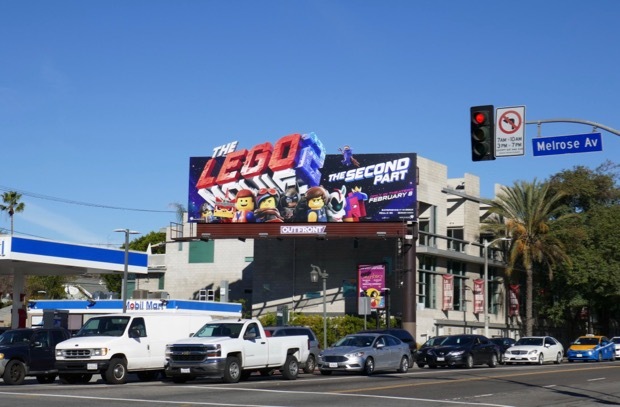 Plus for more Lego cinematic action be sure to also check out these billboards from The Lego Movie, these billboards for The Lego Ninjago Movie and these billboards for The Lego Batman Movie. From the looks of this computer-animated sequel this film has everything from 'Batman' to unicorns, astronauts, space invaders, action heroes and pirates, all that's missing is the kitchen sink (and we're sure there's more than a few spare Lego bricks to build one). 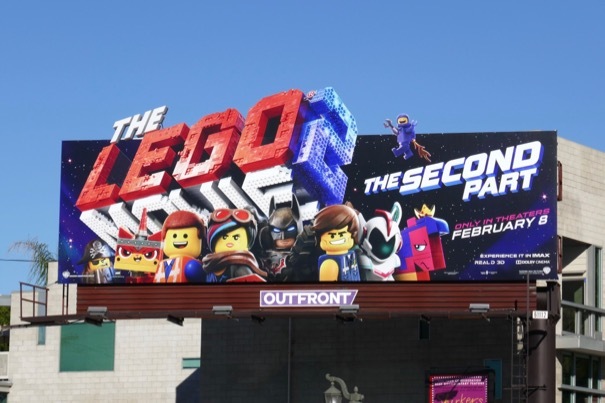 Here's to an absolutely awesome week. 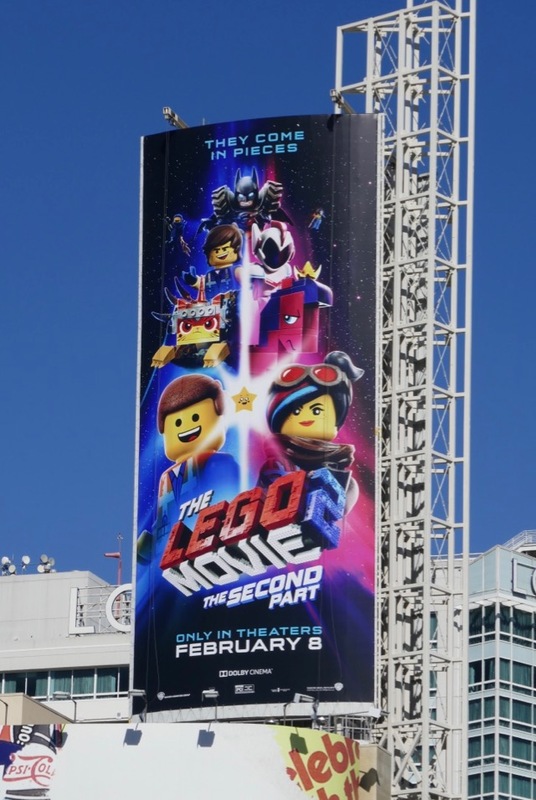 UPDATED: Here's a different vertical billboard for the sequel highlighting all the film's Lego heroes and villains. 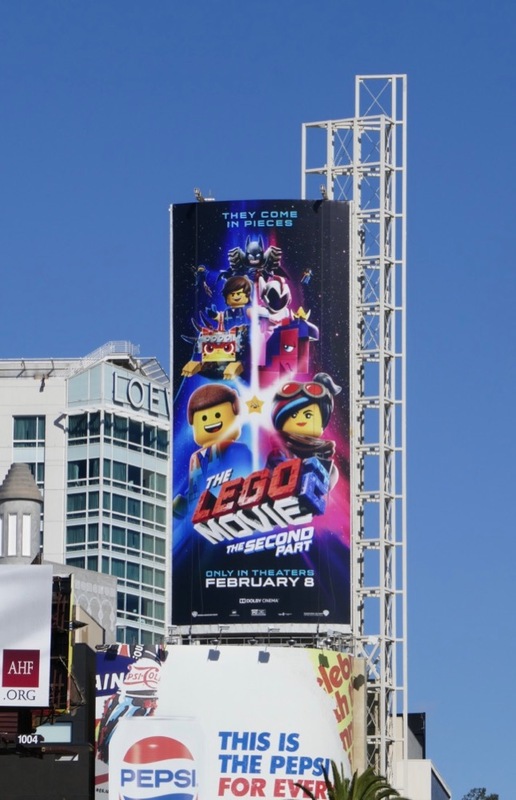 This billboard for The Lego Movie 2 was photographed on February 6, 2019, high above Hollywood & Highland. 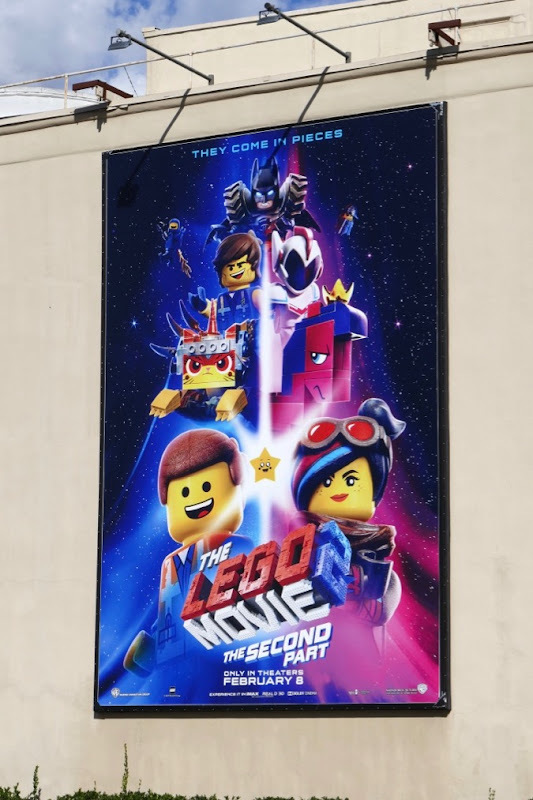 UPDATED: Here's another example of this portrait-sized billboard spotted at Warner Bros. Studios in Burbank on February 18, 2019.